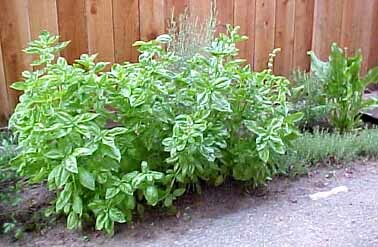 Ok, maybe it really isn’t the world’s tallest basil, but the tallest one in my kitchen herb garden is at 29 inches tall. Just over two feet, dwarfing the usually out of control sorrel, thyme and lavender. Time to have a pesto party. by Ms. Jen on Mon July 28, 2003 | Permalink | nature + environment.